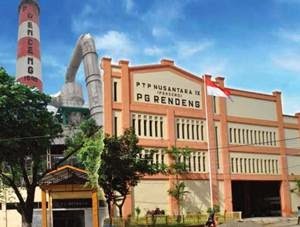 PT Perkebunan Nusantara IX (Persero) - PTPN IX or referred to as "PTPN 9" is a leading state-owned plantation company in Indonesia, based in Semarang and having plantation location in the region of Central Java. PTPN 9 has main plantation commodities in sugar cane (seasonal crops), rubber, tea, coffe and cocoa (perennial crops). PTPN 9 runs its business through 1 liason office, 1 non farm business unit, 8 sugar mills, 15 sheet factories (RSS), 1 concentrated latex factory, 1 thin pale crepe factory (TPC), 5 brown crepe factories, 3 tea factories and 2 coffee factories. The Company also supported by 4 affiliate companies, namely PT Indoham Gmbh (2.40%), PT Kharisma Pemasaran Bersama Nusantara (7.14%), PT Riset Perkebunan Nusantara (6.67%), and PT Industri Gula Nusantara (36%). In term of financial performance, the Company's total net sales in 2014 was down 18.30% at Rp 1,245.63 billion from Rp 1,524.75 billion in 2013. Total net profit in 2014 was Rp 259.01 billion as compared with Rp 20.59 billion in 2013. This figures was stated by PT Perkebunan Nusantara IX (Persero) in its annual report 2014 as cited by JobsCDC.com. Male, maximum age of 27 years old (born after 30 June 1989). Diploma (D3) holder in Chemical Engineering, preferably graduated from campus Polytechnic LPP who have interned at the sugar mill. A minimum GPA of 2.75 (scale of 4.00). Preferred interned at the sugar mill. Never convicted of a crime. Never be dismissed with no respect of institutions or government and private legal entity. JobsCDC.com now available on android device. Download now on Google Play here. Please be aware of recruitment fraud. The entire stage of this selection process is free of charge. PT Perkebunan Nusantara IX (Persero) - Recruitment D3 Processing Staff PTPN IX June 2016 will never ask for fees or upfront payments for any purposes during the recruitment process such as transportation and accommodation.